If you are serious about finding true spiritual liberation, VARDANKAR is the most direct path though Out of Body Travel, to reach true Self Realization, God Realization, and VARDAN Mastership. A God Realized VARDAN Master helps the individual step by step learn out of body Tuza (Soul) Travel (which uses the Soul body as opposed to the Astral body) to reach Spiritual Liberation or Self Realization on the Soul Plane and finally graduate from the wheel of reincarnation. Then we can return to God in the Ocean of Love and Mercy as a conscious coworker with IT. VARDANKAR offers individuals a spiritual training program to learn advanced out of body travel to reach Self Realization, God Realization and Spiritual Mastership. This training gives guidance, assistance, and protection so we can become an awakened and conscious coworker with God. 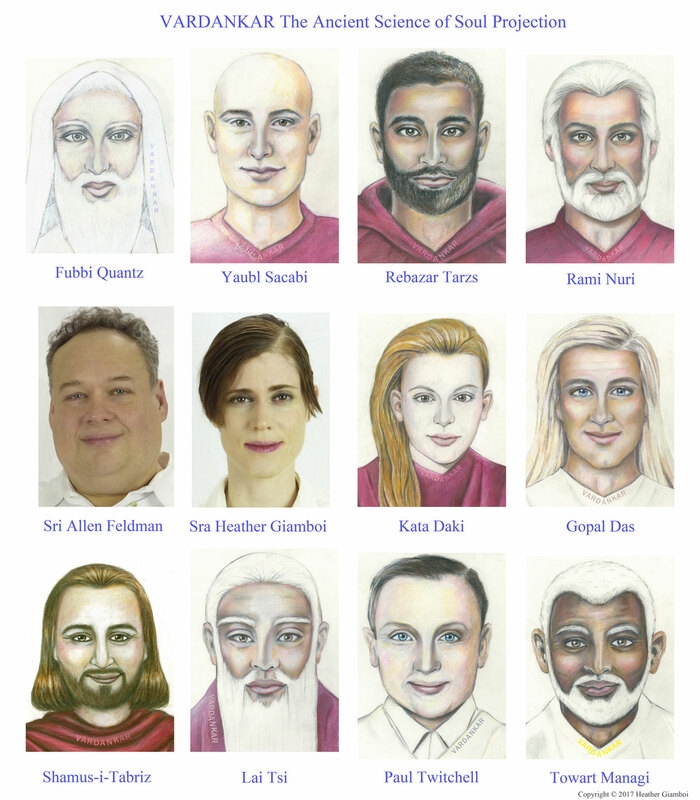 Many individuals who have studied under VARDANKAR throughout and before history have gone on to become Planetary Spirits, Spiritual Guides, VARDAN Masters, and countless other roles according to their enthusiasms. For the first time the individual can have a much greater awareness and control of their spiritual destiny in conscious partnership with God. The Astral plane, Astral Projection, Cosmic Consciousness, the so called 5th and 7th dimensions and meditation do not lead to spiritual freedom. Many New Age Celebrities, Indian Gurus, and other “Masters” have let you down spiritually. It is your birth right to experience levels of heavenly realms beyond your wildest dreams and find Spiritual Liberation in your lifetime. These realms are filled with the wonders of freedom, knowingness, beingness clarity and the ecstasy of the Pure Positive God Worlds (far beyond the beautiful, flashy lower heavens of reincarnation, time, space, matter, energy, mind and the Cosmic Consciousness states that most experience in the lower worlds). These lower heavens can have breathtaking light and sound and captivating phenomena containing light, sound and wisdom mixed with illusion that gives the individual an exaggerated sense of great spiritual advancement. But many of the lower worlds are like luxurious and sometimes magnificent prisons that bind Soul’s to the chains of illusion, mind, matter, energy, time, space and duality. In VARDANKAR the individual takes steps to transcend these traps that appear like vestiges of spiritual freedom in the lower worlds though learning out of body travel deep into God Realms such as the Anami Lok. We learn to progressively shift to higher heavenly realms and flow in the Pure Positive God Worlds of pure Beingness like a whirlpool or the brilliant white spinning light of a galaxy. It is a deeper understanding of the spiritual sound behind all things like the rush of a flowing whirlpool sound. The Anami Lok is the pure plane of God Realization and within it is a high pitched, high vibration sound that flows and is everywhere. In this realm there is a great feeling of freedom beyond limit. A Soul can return to these worlds of Self and God Realization provided it is unattached to fixed ideas, opinions, dogma, religion and personality worship. This relates to the words of the Star Wars character Yoda who imparted words of wisdom, “You must unlearn what you have learned.” It is the process of emptying the cup so that divine spirit can fill it with a far deeper level of knowingness that comes from divine spirit ITSELF. This process is achieved in VARDANKAR through a series of Spiritual Exercises known only to its students. The lower heavens of enslavement are composed of varying concentrations of energy, matter, space and time. They also are worlds of duality (Love and Hate, light and dark, mountains and valleys). These lower heavens are worshiped by most Religions and groups and we find here lower heaven personalities (deities, entities, light beings, “Masters”, angels). Here illusion is mixed with the “wisdom” of cosmic consciousness or the universal mind power. 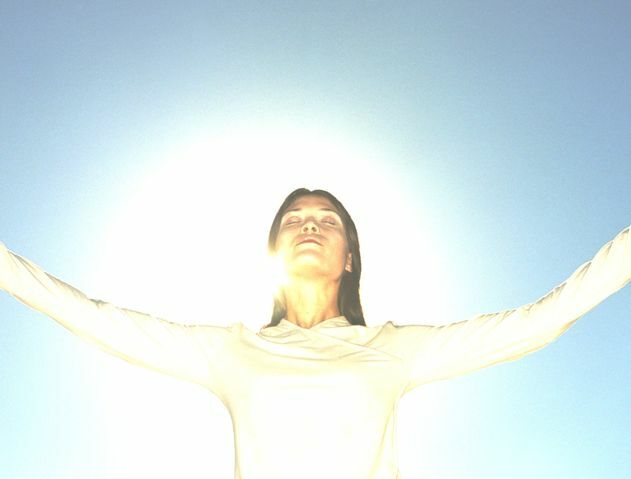 In stark contrast the Pure Positive God Realms contain no matter and only pure Spirit, such as a concentration of white light beyond all description. The Sound current and light from these higher worlds contains the sum total of all Love, wisdom, Power and Freedom and Soul exists hear as a conscious radiant particle of consciousness that possesses direct perception, seeing, knowing and being and a 360 degree viewpoint beyond the mind but through again direct perception and as we go higher, Total Awareness and God Realization. We learn to leave our body safely under the protection of the inner VARDAN Master and go into these higher God Worlds and have experiences without the flashy astral senses or psychic senses. But instead we are existing in a state of seeing, knowing and being. A serenity, beingness, knowingness, divine love and freedom unlike anything known in the lower heavens is experienced. Then one is in a state of knowingness or omniscience, or total awareness that is everywhere simultaneously. We then have divine direct perception that is all pervasive and has omnipresence, omniscience and omnipotence. One cries out, I am that I am! And here one has perception of one’s self as the VARDAN, divine spirit ITSELF! Many people mistake Self Realization for the idea “I know that I am soul and I can see my past lives, my spiritual abilities are blossoming and am discovering things about myself.” This state is not yet Self Realization. True Self Realization occurs on the Atma Lok or Soul Plane where the individual is in a consciousness far beyond their physical, astral, causal, mental or Etheric bodies respectively, but exists in the pure Soul body or state of beingness as pure spirit, pure consciousness, pure awareness. Soul no longer needs the mind while living in this state but knows all things through direct perception and is now working as a conscious drop from the Ocean of Love and Mercy. The ego or little self begins to melt like ice on a hot summers day and is replaced by our true self Soul which is our eternal God self that knows all, is all and exists in a state of pure Beingness and Isness. It is as listening to the “still small voice with in” where the VARDAN (divine spirit) flows though the individual like a divine instrument so that we are vibrating to the melody of HURAY, God ITSELF at this level of consciousness. We can flow with divine spirit from many levels of consciousness but at the Soul level it is more refined. The Astral plane and other lower heavens can have blinding white tinged lights but the light of the Anami Lok is of such total concentration of brilliance as pure Spirit that it is beyond all human description. In progressing with out of body travel we become centered in this state of oneness with the divine being, the HURAY, God. This is like being encompassed by God’s consciousness and serving IT’s cause though out the universes as one conscious and awakened to God’s will. And then as a free agent we are a conscious coworker with God in ALL the universes. This is only possible because Soul is a part of the great VARDAN or spirit ITSELF and a drop from the Ocean of Love and Mercy. We are all God’s among other God’s but at this higher level we become true conscious Spirit and live, move and have our being in this Total Awareness. We wake up and are no longer asleep. We are God Realized conscious Co-workers! 1. The Mentorship, Spiritual guidance and spiritual training of a God Realized VARDAN Master. 2. Monthly Spiritual Discourses written by the Margatma the Living VARDAN Master. These discourses contain advanced spiritual exercises for out of body travel far beyond Astral Projection to progress spiritually. 3. Thirty Minute spiritual exercise daily- Instead of having to meditate for hours, in thirty minutes a day we can begin to make progress spiritually to move step by step towards Self and God Realization. 4. Spiritual Initiations which lift the individual to higher spiritual planes depending on his spiritual progress. 5. Wisdom Notes from the Living VARDAN Master each month give important spiritual tips and insights. 6. VARDANKAR’s quarterly God Force Newsletter. This newsletter also has helpful spiritual articles written by VARDAN Masters. 7. Help with spiritual progress with Monthly Initiates Reports- If you feel stuck, have spiritual experiences, questions, or want to discuss your spiritual progress initiates can write monthly initiate reports to the Living VARDAN Master. 8. Ongoing releases of VARDANKAR books, audios, and videos to help the individual deepen their study. 9. A Website containing insightful articles, audios, and videos of instructional material. 10. Classes will open up in the future along with VARDANKAR seminars to deepen individual’s spiritual education. All of these tools are intended to assist the individual in the goal of learning out of body travel to reach the three goals in VARDANKAR of Self Realization, God Realization and Spiritual Mastership and being a Conscious Coworker with God or HURAY. Some after reading the website may be filled with a knowingness and just know, while others may be filled with questions. If this is the case then it is highly recommended to view the various VARDANKAR videos which answer many common questions. Additionally the spiritual exercises themselves will begin to bring us to a state of seeing, knowing, being, and out of body experiences that answer our yearning, concerns, questions, and goals though direct experience in different levels of heaven. Often in out of body travel the student may receive instruction from VARDAN Masters in Temples of Golden Wisdom on these inner spiritual planes that bring him a direct awareness and understanding of things of a spiritual nature. VARDANKAR is not a path of theories where the individual is asked to have faith but instead it is an Applied Science meaning we learn to not blindly believe or guess or assume or cling to an opinion but instead have a direct personal experience in the spiritual worlds to expand our awareness beyond human consciousness. The love, wisdom, power, freedom, direct perception, and conscious awareness that we experience through making conscious contact with divine spirit and these heavenly worlds is beyond the mind or emotions of man and beyond any reading of books or listening to lectures but must be experienced for one’s self! We truly discover that there is a vast difference between our true Eternal God Self Soul and our little self, which consists of lower bodies or coverings (the physical, astral, causal, mental, and etheric bodies) that encase and imprison Soul until Soul learns to leave its body at will through the ancient science of VARDANKAR, the most direct path back to God or HURAY. As mentioned earlier, a little-known understanding or awareness that is even secret is that there are two very distinct, different levels of heaven: the lower worlds of time and space and the God Worlds of pure spirit. The four lower worlds, which include the astral plane, causal plane, mental plane, and etheric plane, are almost always the levels of heaven experienced after death, in near-death experiences, and during almost all other spiritual experiences. They are heavens that contain M.E.S.T. meaning matter, energy, space, and time. These lower heavens also contain duality such as dark and light, good and evil, male and female. In the lower worlds we cannot have love without hate nor mountains without valleys. When Saint Paul said he saw one visit the 3rd heaven this is what he was referring to. These four lower heavens called the lower worlds are the realms of reincarnation. They are beautiful and are everything one might expect a heaven to be. However, unknown to most people, they are not places of spiritual freedom but actually prisons where after a hundred or a thousand blissful years, to the individual’s great shock he is summoned to reincarnate on Earth again. 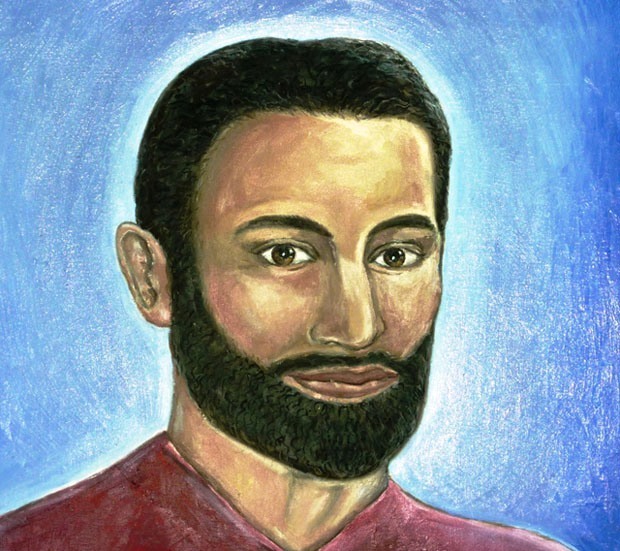 The Spiritual Traveler – also called the Margatma, the living VARDAN Master, who is an advanced expert in out-of-body travel to the spiritual planes – teaches the individual how to leave his body to do out-of-body travel to first explore these lower worlds or heavens and then transcend them. The living VARDAN Master of our times works on both the outer with the writing of books, discourses, and giving of talks, and on the inner planes. He is with the individual student or Chela on the inner at all times and can offer spiritual assistance and protection. This is only possible because the inner Master is made of pure spirit or the VARDAN and is omnipresent, omniscient, and omnipotent. The inner Master being the personification of pure spirit or the VARDAN is closer than the student or Chela’s heartbeat. Ironically the Chela will find he too as Soul is identical with spirit or the VARDAN. The difference is only in Realization and that the living VARDAN Master is appointed by the spiritual hierarchy to work with individual Souls to aid them on their journey back to the Godhead or Ocean of Love and Mercy. In order to accomplish this task he is given the VARDAN Rod of Power. Some of you reading this will find this kind of spiritual freedom in this lifetime and see the face of God, which is neither male nor female but indescribable and must be experienced in the higher worlds through out-of-body Tuza (Soul) Travel. Although God or the HURAY has many qualities such as love, wisdom, power, freedom, omniscience, omnipresence, omnipotence, and mercy to name but a few, the HURAY is not ITS qualities but indefinable and limitless, and can only be experienced through true God Realization. This is also true in a way with our true self Soul that cannot be understood by the mind but is our God self and is only realized through Self Realization on the 5th plane or Soul Plane of pure beingness beyond the lower bodies and mind. There are few words that can be said about these higher states of conscious awareness. They are the areas of seeing, knowing, and being through direct perception where Soul takes on a 360-degree viewpoint. The sum total of all love, wisdom, power, and freedom. Soul rides on a great wave of the Sound Current witch is the voice of God or the HURAY, becomes mesmerized, and desires God above all else. From the Godhead or the Ocean of Love and Mercy, the HURAY or God issues out this great wave of light and sound, the VARDAN. Some call this the Holy Spirit or divine spirit. 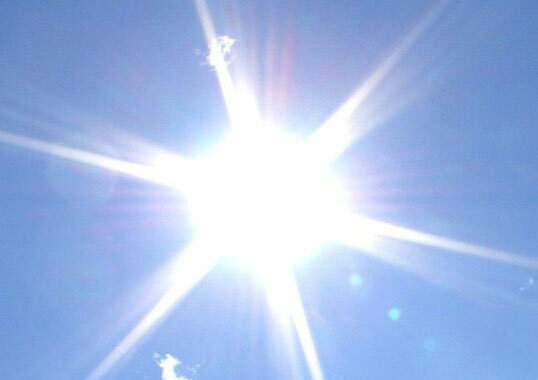 It is the essence of God and can be heard as various sounds and seen as various colors of light. Again it can be said that within this light and sound is contained the sum total of all love, wisdom, power, and freedom. But it is far beyond description and must be experienced for IT is the true voice of God or HURAY that sustains all. This great wave issues out of the Godhead and as it descends it creates and sustains all the worlds below it. Eventually when this wave of VARDAN or Spirit reaches the bottom or physical plane IT begins ITS return journey, much like a radio wave issues out of the tower and then bounces back to its source. It is this returning wave of light and sound, pure spirit that the living VARDAN Master connects each student or Chela with and it is this wave that Soul must return on, riding IT back to the Godhead or HURAY! 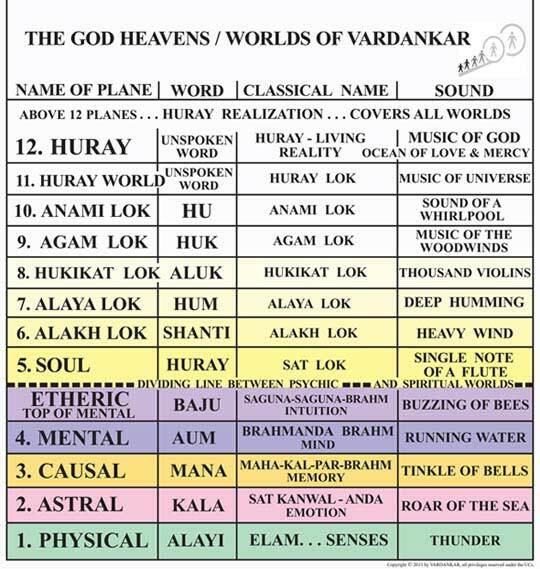 VARDANKAR, which is called the ancient science of out-of-body Tuza (Soul) Travel, is the structure by which the ancient VARDAN Masters inspire and guide the individual both on the inner and outer, to transcend the lower heavenly realms of duality and reincarnation and instead become presently established in the higher vibration pure positive God Worlds. It is a process of spiritual awakening to higher and higher levels of heaven or states of consciousness. This brings true spiritual freedom to the individual who is willing to practice the spiritual exercises of VARDANKAR for a minimum of 30 minutes a day. It brings true love, wisdom, power, and freedom. This can only come through the true journey with the aid of the Spiritual Travelers, into the pure positive God Worlds. No amount of meditation, prayer, reading, writing, nor the singing of hymns nor the doing of good works will bring one into the heart of God. It is only by leaving one’s body and traveling do we ironically transcend the worlds of time and space and move in consciousness into the heart of the HURAY or God, what is called in VARDANKAR the Ocean of Love and Mercy where dwells HURAY. We discover through this experience that we are identical to IT, like a drop of water is identical in substance to the entire Ocean, and we become free conscious agents of God and conscious co-workers with IT. We discover that we as Soul, our true eternal self, are completely free of time, matter, energy, space, and mind and can be in all places, see all things, and move freely through any of God’s countless universes for the purpose of this co-workership. We gain true ISNESS and BEINGNESS. And know all things. Again we become free conscious agents of God! We live, move, and have our being in God or HURAY. At the same time we retain our individuality as an eternal Soul to do God’s work throughout eternity as conscious co-workers. We become like conscious drops of water in the Ocean of Love and Mercy. We are identical in substance and yet not the whole. We can of course never become God (although we are each God beings), but we become conscious co-workers with God and again live, move, and have our being in HURAY or God-conscious awareness. It must be said that these Higher Worlds are almost infinitely more real then the lower worlds and countless Soul’s exist within them. They are actual worlds and not merely poetic metaphors, ideals, speculation or dogmatic beliefs. And they can be experienced through out of body Tuza Travel, although few if any make it into them without the aid of a true VARDAN master. As conscious co-workers with God, we may be working as an angel, planetary spirit, agent of God, Master, or any number of other assignments that we may choose as conscious free agents of God. Of course there is always a plus factor and in the higher worlds we grow in consciousness and move into higher and higher planes and take on various works. Many of us have been training during our past lives for whatever assignments we may later choose as conscious co-workers with HURAY or God. It is the VARDAN Master's goals to (1) guide the individual to Self Realization (reaching the Soul Plane, being awakened to one's nature as Soul, seeing one's past lives, and learning one's spiritual mission), (2) guide the individual to God Realization (reaching the 10th through 12th planes, being awakened to realizing God and having a profound and meaningful experience and relationship with God), and finaly (3) becoming a VARDAN Master (a conscious co-worker with God). Sri Allen Feldman, who is a God Realized VARDAN Master and who is greatly studied and mastered in out-of-body travel, is the 973rd successor to inherit the mantle of the living VARDAN Master. The purpose of such a role of the living VARDAN Master is to guide Souls to the three goals above with both outer teachings that come in the form of books, videos, audios, discourses, and seminars as well as what are called the “inner teachings” meaning in his spirit body or Soul body he meets with the individual for instruction on the inner planes. The individual through practicing spiritual exercises will learn how to do out-of-body travel to the progressively higher levels of heaven or God planes/worlds. There are some gurus who falsely claim this title and yet the vast majority of their students do not reach God Realization, Self Realization, or sometimes even astral realization after 30 or 40 years of devoted and skilled practice. Under such Earthbound gurus their students remain forever followers trapped in the lower worlds of reincarnation even when some among them are told that they have attained spiritual freedom in this life. In VARDANKAR the individual can actually and truly reach God Realization in roughly 30 years; however, this varies greatly depending on the progress of the individual. Some individuals for example may progress more quickly given their present and past life progress that carries over into this lifetime. Sometimes the terminology of the spiritual path changes through the centuries or even the name of the path (which has happened for thousands of years). 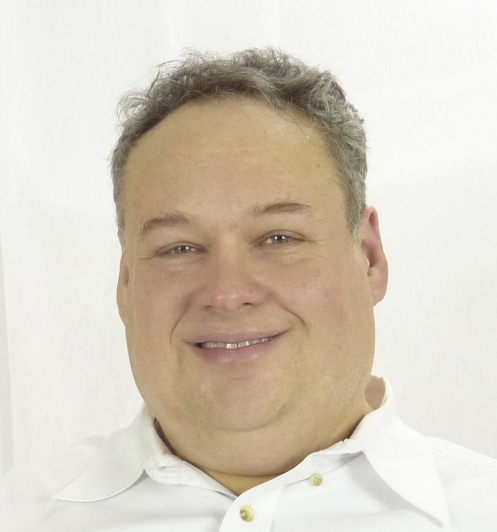 Then a new Margatma, the living VARDAN Master, steps forward to assist individuals in the process of realizing their birthright as divine spiritual beings capable of becoming an actual conscious and free co-worker with God. We do not need to become perfect like plastic to become a Self Realized and God Realized co-worker with God. If we are disciplined with our studies and spiritual exercises, the Spiritual Traveler will show us how. The nature of our little self or lower bodies (physical, astral, causal, mental, and etheric) is mostly negative in nature so there is no need to let their imperfections trap you in your body, hoping for their perfection at some mysterious future date. As Jesus once said, Seek first the kingdom of God and all these things will be added unto you. VARDANKAR has once more come forward through the guidance of Rebazar Tarzs, Yaubl Sacabi, and other great VARDAN Masters of old who have been with us through all ages of humankind. As many VARDAN Masters have said before us, only those who are brave, bold, and have the zeal of a lively adventurous spirit will dare to tread where the timid, critical, and attached will not go: to the pure positive heavens and to God or HURAY ITSELF. From those who have experienced it, the spiritual planes of VARDAN are real and it is something you can prove for yourself, if you are so daring to make the adventure! The God Worlds, both the lower and higher, are actual places or states more real than this physical world. They are not metaphors or imaginative images or poetic ideas that we cannot experience but only think about or feel emotionally. In VARDANKAR we do not require that anyone believes or accepts our words as true for we believe YOU need to have your own spiritual experiences and prove the validity of the God Worlds of VARDAN for yourself. No one else’s experiences can replace your own, and we discourage the worship of personality, books, or ideals. These are the stuff of religion and VARDANKAR is a path or way back to God through out-of-body Tuza Travel. It is not a religion or metaphysical system but the most direct path back to God through Tuza (or Soul) Travel. Of course VARDANKAR will only work if you put in the effort to study the teachings and practice the spiritual exercises. The time required is well within the abilities of the average working person and does not require hours of daily meditation or the endless study of books and discourses. Amazing results can often be gotten through slow but consistent patience and practice. If out-of-body travel to the pure positive God Worlds is not for you or you are on a different journey, we wish you the best in your journey, too. If you find VARDANKAR and out-of-body travel to higher states of consciousness, total awareness, and the pure positive God Worlds exciting, we invite you to explore this informational website and if you feel guided it offers various articles, free audio, and video recordings of VARDAN Masters and information on upcoming VARDANKAR books and seminars. And for those who have a deeper interest there is also a membership application for individuals who wish to study out-of-body Tuza Travel to the spiritual planes, learn in-depth spiritual understandings, and reach Self and God Realization in this life. Welcome to the VARDANKAR website!! And happy spiritual traveling to you!! !